The Karate Kid is an underdog story following 17-year-old Daniel LaRusso who is mentored by Mr. Miyagi, his apartment’s handyman, in the art of karate so he can defend himself and eventually compete. However, The Karate Kid wouldn’t be complete with at least one solid montage. This takes place during the All Valley Tournament where Daniel proves to be quite the formidable opponent. 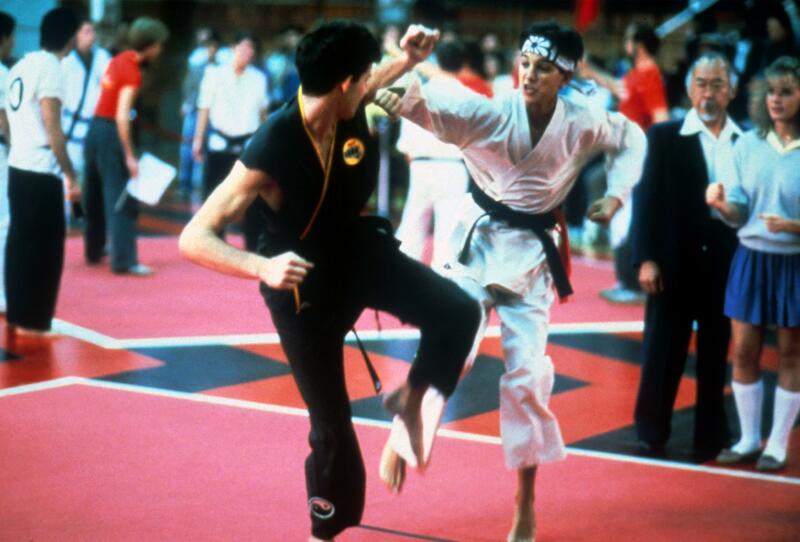 While the karate is entertaining, the star of the montage is the song “You’re the Best,” performed by Joe Esposito, which was released in 1984. Because of the movie, the track became widely popular and is still well-known today. Arguably the king of the boxing film genre, the Rocky series follows the career of the fictional boxer Rocky Balboa (Sylvester Stallone) and the ups and downs of his life and career in boxing. For the most part, all Rocky films have two montages beginning with a training montage and ending with one during the climactic fight at the end. Rocky III only has one montage although it is one of the most memorable because it uses the timeless song “Eye of the Tiger.” The band Journey wrote the song specifically for the movie and it was used in the beginning to show Rocky’s rise to fame after winning the title. There are countless montages throughout the series, many of them featuring “Gonna Fly Now,” better known as the “Theme From Rocky.” But another one that sticks out is from Rocky IV. 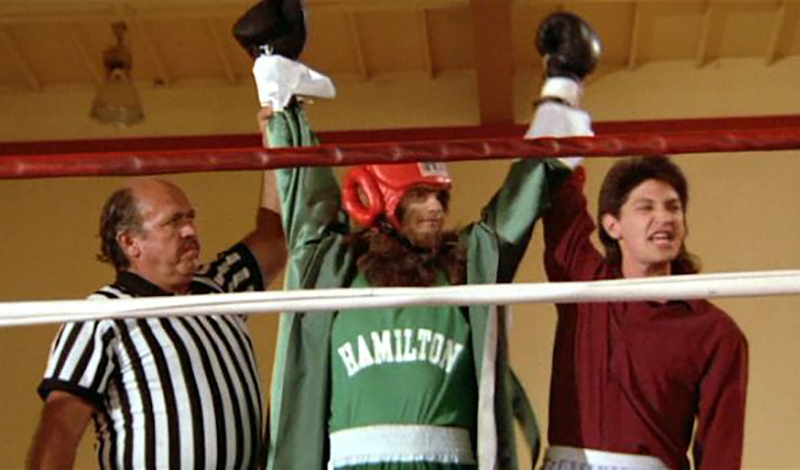 In the film, Apollo Creed, Rocky’s former opponent-turned-best-friend dies, leaving Rocky distraught. 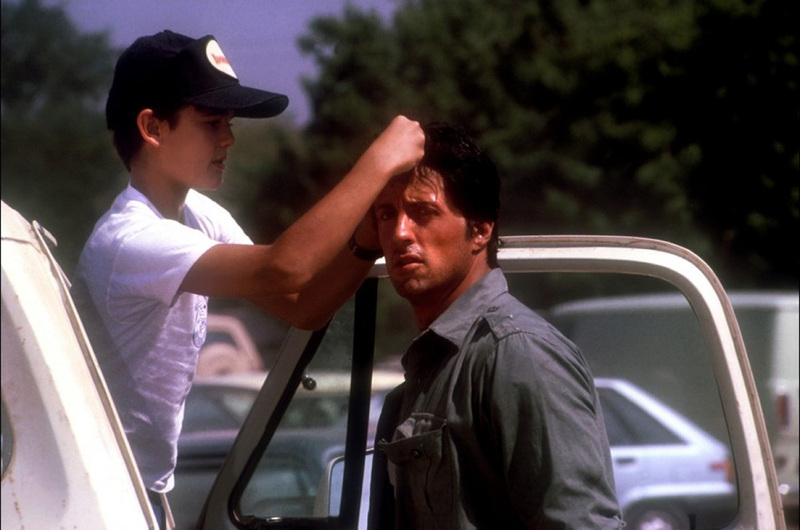 Rocky then gets in his car and begins to drive around, which turns into a four-minute flashback montage of their relationship and Rocky’s failures and successes. The scene is appropriately matched with Robert Temper’s “No Easy Way Out,” which really helped drive the scene home and let the audience feel Rocky’s pain. Although there’s no shortage of montages in the Rocky series, some of the most memorable are the ones when Rocky is training. There is an excellent example of this in Rocky IV when viewers see the comparison between Rocky’s training and his Russian opponent, Drago. 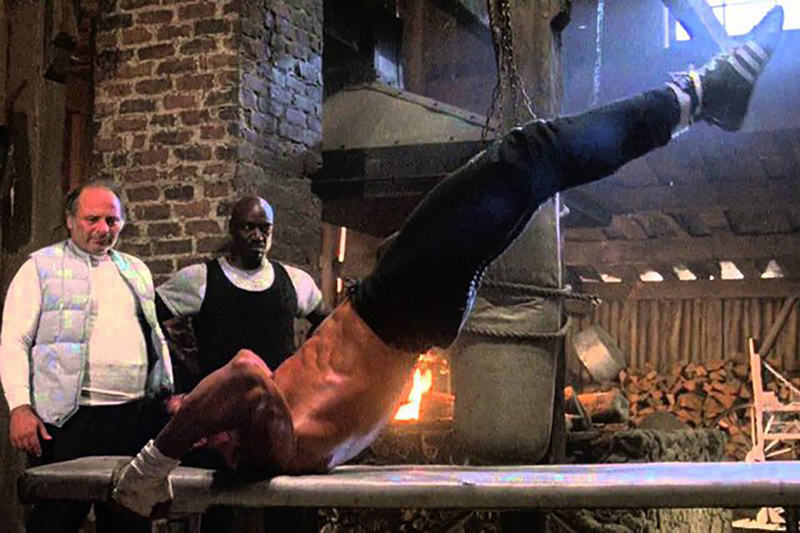 While Rocky is working out in an old barn and chopping wood, Drago is busy shooting up steroids and training in a high-end gym. Released in 1983, Scarface tells the story of Cuban refugee Tony Montana and his rise to power as a drug kingpin in Miami during the 1980s. While the film is revered by critics and fans, it managed to squeeze a montage in that somehow didn’t take away anything from the film. The montage shows Tony’s increase in power and wealth after he becomes the head drug trafficker in Miami. 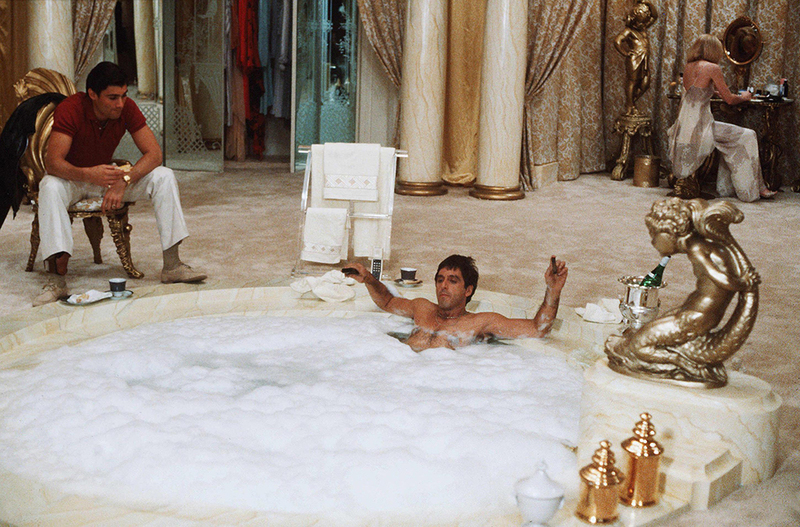 The montage is paired with Paul Engemann’s song “Push it to the Limit,” which sets the mood and makes you feel as untouchable as Tony Montana. 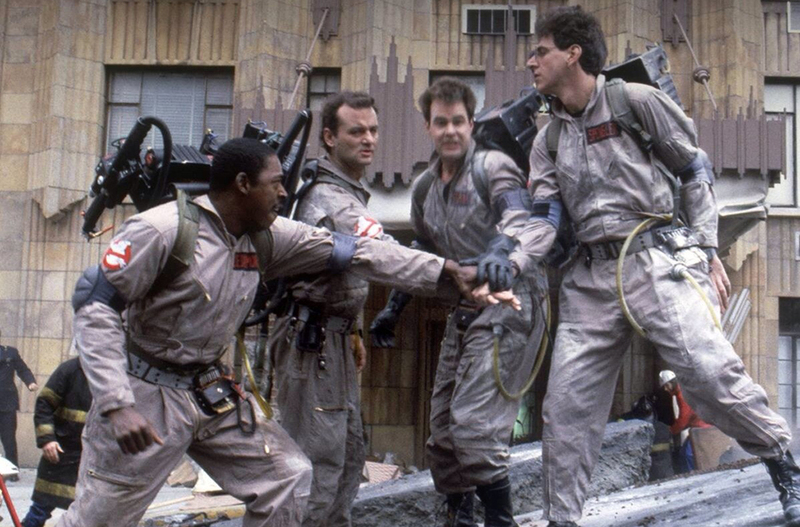 Ghostbusters stars Bill Murray, Ray Stantz, Dan Aykroyd, Harold Remis, and Egon Spengler, as a group of psychologists who get into the ghost-catching business. While the movie was incredibly successful, leading to a media franchise, one of the most memorable elements of the film is the theme song. Written by Ray Parker Jr. for the film, the song eventually reached the No.1 spot on the Billboard Hot 100 in 1984. It was also nominated for the Academy Award for Best Original Song. In the film, the song is played over the montage of the Ghostbusters rising to fame and won the hearts of the audience. The song was written for the movie and goes perfectly with the film’s theme. The Breakfast Club taught us that even though everyone is different, we all still have our own problems. Michael J. Fox was busy during 1985 as he starred in both Back to the Future and Teen Wolf. Both films featured a lot of great music, but Teen Wolf was the only one to have a true montage. In the movie, Michael J. Fox’s character, Scott, is a teenage werewolf. At the end of the movie, he plays in the championship basketball game as himself and not as the werewolf to prove that they don’t need him to win. The game is shot in a montage style paired with Mark Safan’s song for the movie “Win in the End.” The team ends up succeeding, making the song very appropriate for the scene. Released in 1987, Teen Wolf Too was a follow up to Teen Wolf with Patrick Bateman playing the lead role of Todd Howard, Scott Howard’s cousin. Using his ability to become a werewolf like his cousin, he trains to become a boxing champion. During his training, we get a great montage featuring Oingo Boingo’s song “Who Do You Want To Be Today?” There’s nothing quite like watching a montage of a werewolf train for boxing with some Oingo Boingo playing. Given that Footloose is a film about music and dancing, it’s a no-brainer that there should be more than one montage thrown in there. While the montage between Ren and Willard is touching and humorous, the other montage in the film is much darker and more serious. It features Ren dancing out his frustrations in an abandoned warehouse to the song “Never” by Moving Pictures. 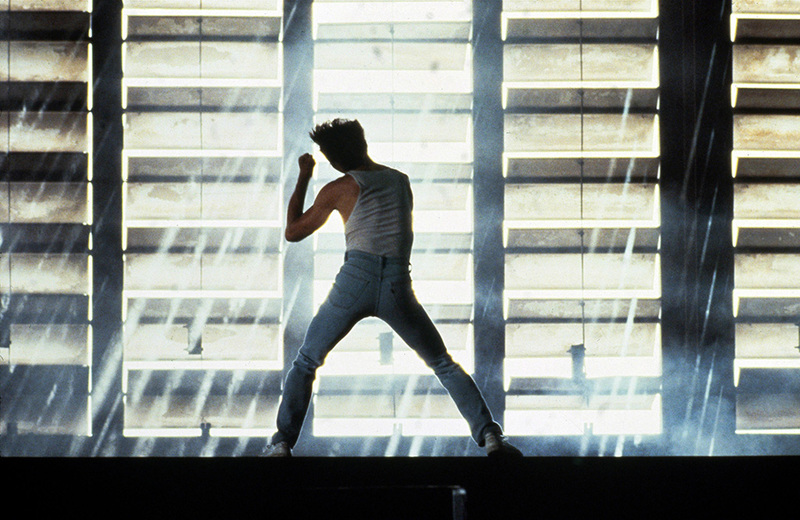 The hit was used for both Footloose as well as Hot Rod which was a parody of Footloose. Dirty Dancing is about as ’80s and you can get. Who doesn’t want to watch Jennifer Grey fall in love with her dance instructor played by Patrick Swayze? While the whole film is very romantic, few scenes top the intimate montage between Grey and Swayze with the track “Hungry Eyes” by Eric Carmen playing in the background. Carmen was approached to make a song for a movie soundtrack because he claimed movie soundtracks had “horrible deaths.” It paid off and the song was incredibly successful, reaching No.4 on the Billboard Hot 100. Much like Sylvester Stallone’s Rocky films, an action film featuring Jean-Claude Van Damme wouldn’t be complete without at least one epic fighting montage. Well, we certainly got one in Newt Arnold’s Bloodsport, which was Van Damme’s ticket to fame. 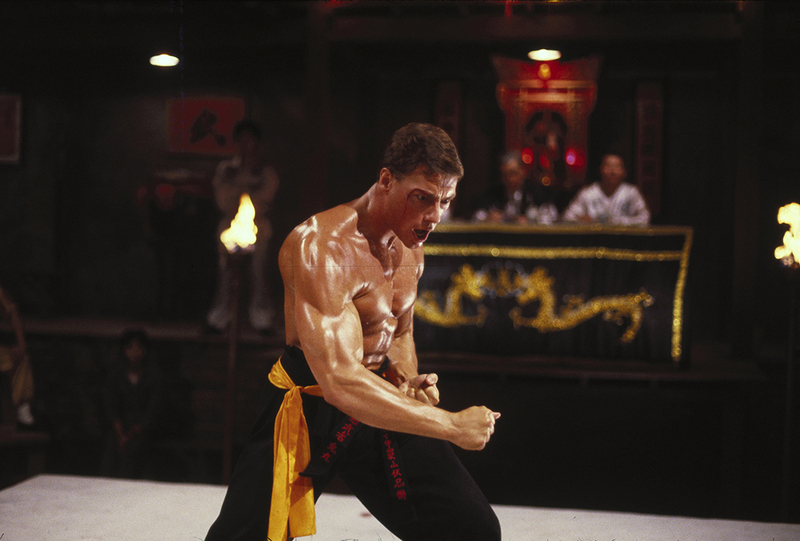 During the film’s main fighting tournament, Stan Bush’s “Fight to Survive” plays in the background as Van Damme and the other fighters in the tournament beat each other to a pulp. Bush wrote the “Fight to Survive” for the montage as well as “On My Own-Alone,” the theme song for the movie. The song was first recorded by Hermits in 1964 where it landed the No.1 spot on the UK Singles Chart. Aside from being in The Naked Gun: From the Files of Police Squad!, it was also in Brave Little Toaster to the Rescue and Ouija: Origin of Evil. For a movie about Fighter Weapons School, an epic montage was more than necessary, and it didn’t disappoint. In the montage, the main characters can be seen attending school, socializing, and practicing their flying. 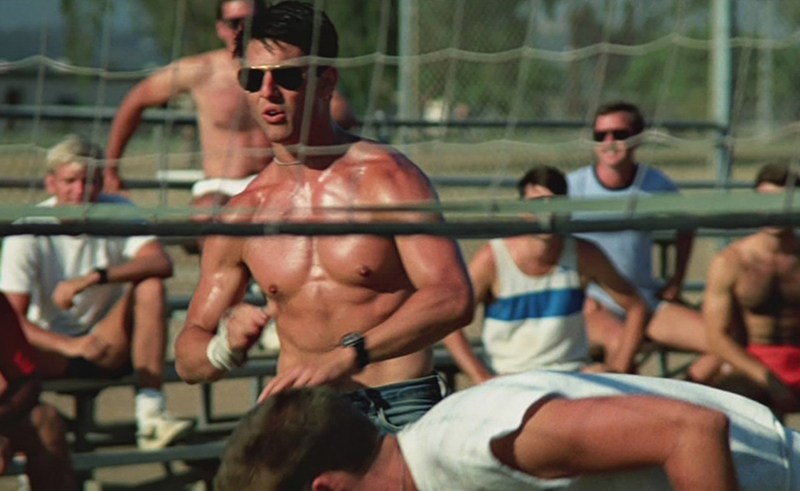 Of course, Kenny Loggins’ “Danger Zone” made the montage as effective as it was. Better Off Dead, starring John Cusack is the story of a high school teen who turns suicidal after his girlfriend breaks up with him. There is a scene in the movie where Cusack’s character, Lane, is trying to get good at skiing to impress his ex-girlfriend with the help of a new friend named Monique. While at first, he struggles, the scene eventually turns into a montage of the two skiing exquisitely down the mountain to the song “Shine” by Martin Ansell. It’s the perfect song for two young lovers to be making their way down the mountain in style. It appears that the Rocky films aren’t the only of Sylvester Stallone’s movies that require some form of montage. In Over the Top, Sylvester Stallone’s character, Lincoln, is a struggling truck driver. He agrees to pick up his son (who he doesn’t know very well) from military school so the two can spend time together. On their drive from Colorado to California, the two begin to get along. The result is a montage of the two enjoying their time together as the song “Meet Me Halfway” by Jenny Logins plays in the background. Being in the movie landed the song a spot in the Top 40. Flashdance is a film starring Jennifer Beals that tells the story of a young female welder who aspires to be a professional dancer and the struggles she endures to make her dreams come true. 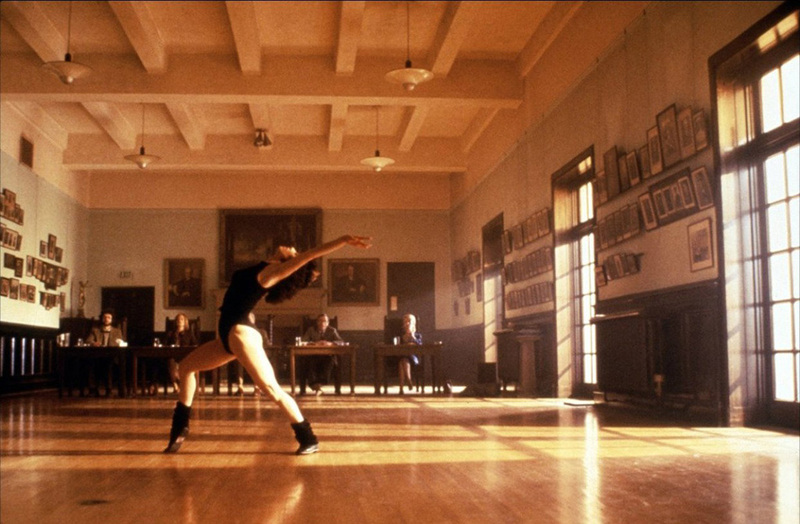 In a montage which shows her dedication to dancing, the song “Maniac” by Michael Sembello plays in the background. It couldn’t be more fitting. The song is about a woman being a “maniac on the dance floor” as Beals’ character dances wildly by herself. The song was written specifically written for the film and received a lot of praise upon its release. Back to School is about a successful yet uneducated man named Thornton (Rodney Dangerfield,) who goes to college to show his son, who is struggling in school, that it can be done. However, college turns out to be more difficult than Thornton expects. He finds himself studying day and night. This gives way to a serious yet comical montage centering around Thornton’s studying habits, backed by Danny Elfman’s tune appropriately called “Study Montage.” Although the song never became an ’80s classic, considering it is a classical song, it makes the whole montage blend nicely. Revenge of the Nerds follows a group of “nerds” attending Adams college who are harassed by the jock fraternity the Alpha Betas and the female sorority Pi Delta Pi. 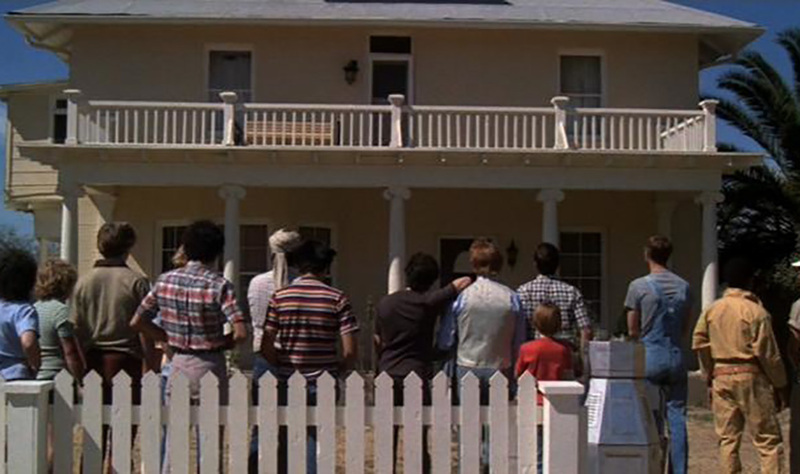 While the nerds are not admitted into any of the fraternities, they band together and manage to acquire a house essentially falling apart but repair it together. A montage occurs while the group is repairing the house to the tune of Bone Symphony’s “One Foot in Front of the Other.” It was by far their most popular song and was also featured in an episode of Family Guy and the movie Ted 2.